Wildlife rehabilitation is the process of removing injured, orphaned, or sick wild animals from the wild and caring for them. The goal of wildlife rehabilitation is to provide food, housing and medical care to these animals and return them to the wild after treatment. 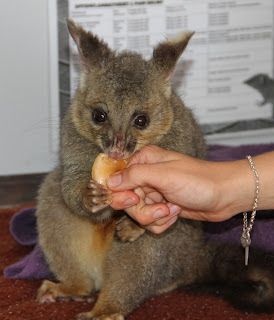 Did you know RSPCA ACT is the only licensed wildlife carer in the ACT? Were you aware that it is against the law to keep a native animal for longer than a 48 hour period? For the benefit of the animal RSPCA ACT should be contacted as soon as possible if sick, injured or orphaned native wildlife comes into your care. One of the obstacles for rehabilitation we see at RSPCA is humanising, or imprinting. Humanising occurs when a young animal is given inappropriate care during the rearing process and the animal becomes dependent on the human carer. This condition potentially limits the animal’s chance of survival in the wild. Imprinting occurs when a carer allows a young animal to think of him/her as a parent, with the result that the animal will most likely not fully recognise its own species and therefore may not survive in the wild, or when mature it may approach humans for food or mating. In addition, native animals raised with or in close proximity to domestic pets will not recognise these species as predators when released. For adult animals, the opposite problem occurs: if being cared for in proximity to domestic pets the sight, sound and smell of domestic animals are highly stressful and may cause delay improvement in their condition. When we receive an animal in to care that has been humanised it may take weeks or even months to get that animal to a stage where it can be released in to the wild. Sometimes, for their own safety, these animals can’t be released and unfortunately have to be humanely euthanased. The most common species we see that have been humanised are possums and magpies. The possum in the photo recently came in to our care. She was easily approached on the street, picked up and is certainly used to being hand-fed. We are keeping our fingers crossed that we will be able to “wild” up this possum so that she will be suitable for release. If you find an injured native animal please contact us on 6287 8100 and help us keep them wild.